Baby 36in x 39in, Lap 56in x 61in, and Twin 66in x 83in. Hazel is a friendly patchwork hedgehog made using basic patchwork techniques. No paper piecing or templates! 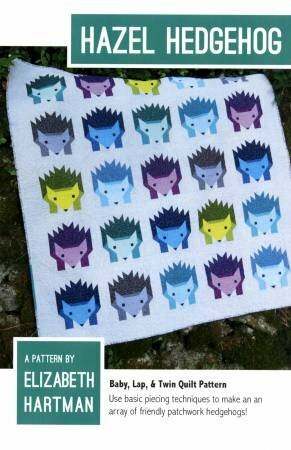 This pattern includes multiple fabric options, including using 10in x 10in squares and precut 1-1/2in strips.